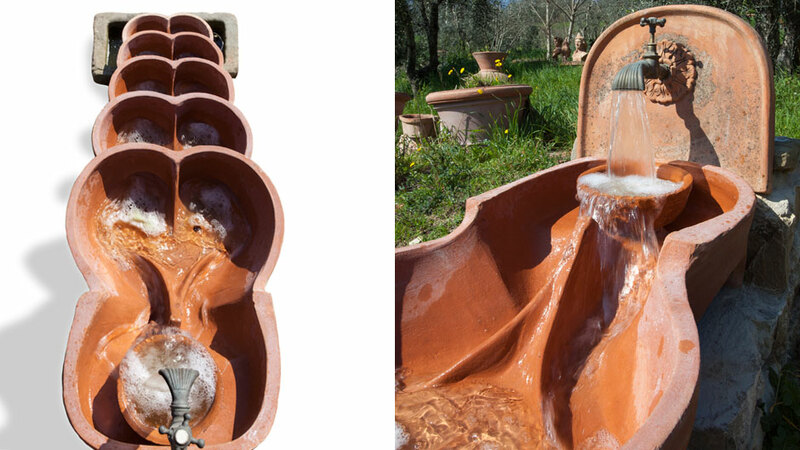 Flowforms are artificial structures that allow flowing water to recreate the movements and rhythms that it would have in nature, thereby activating a process of purification and oxygenation, giving new vitality to the energy of our planet’s most valuable asset. Invented by the English scientist/artist John Wilkes, Flowforms are often used to naturally purify small lakes or eco-friendly swimming-pools, improving their physical and organic characteristics. Flowforms have been tried with success in other processes concerning the manufacture of drinks such as wine and beer. Repeated chemical and biological analyses have now shown that the water flowing through a flowform becomes richer in oxygen due to the greater contact of the liquid with air. Flowforms are also magnificent objects of decoration. With their sculptural aspect they blend seamlessly with the landscape, helping us to redefine our relationship with dimension, with time and more generally with nature. 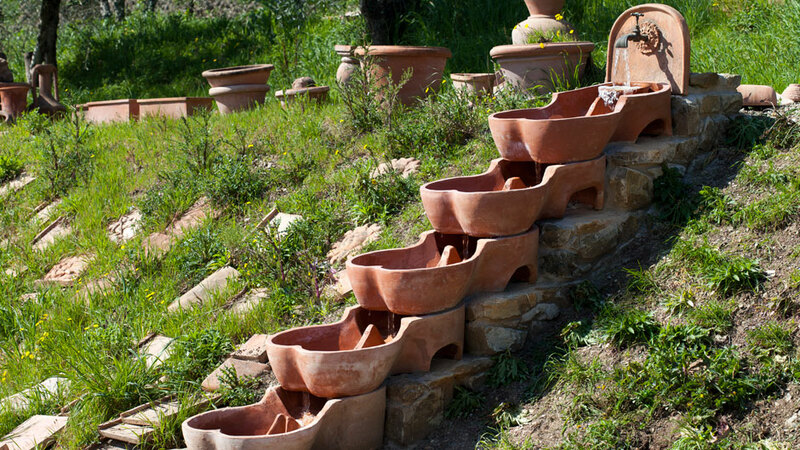 The Artenova Furnace, who for some years now has specialized in the production of terracotta vessels for alimentary uses, has decided to create flowforms using the prestigious clay from Impruneta, famous throughout the world for its colour, its physical/chemical characteristics and especially for its extraordinary resistance to frost. A product designed to last over time that can be personalised in various ways according to the needs of the customer.